Corpus Christi or Boże Ciało in Polish (literally 'the Body of Christ') is a Christian holiday which is a holy day and bank holiday in Poland. It falls on the second Thursday after Pentecost (or Whitsun in the UK), which itself falls seven weeks after Easter Sunday. This means the date varies, typically falling in May or June. In 2017, Boże Ciało falls on June 15th. 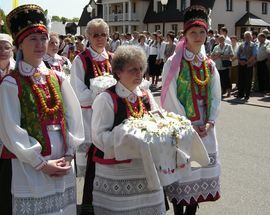 In Poland, the first Boże Ciało ceremony was held in Kraków in 1320, with the cult growing over the next century until the Gniezno Council of 1420 decreed that it be celebrated annually across the country. 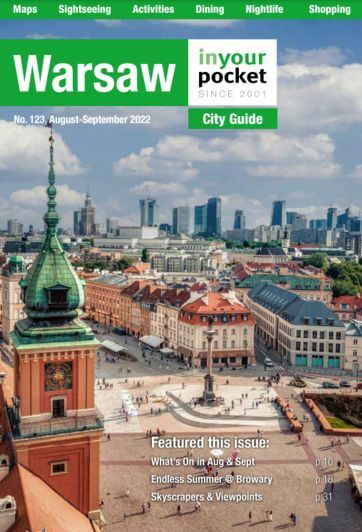 Today an official off day in Poland, in Polish villages and small towns you'll find this to mean that almost everything is closed; in larger cities like Warsaw and Kraków however, most restaurants, bars and major businesses remain open. 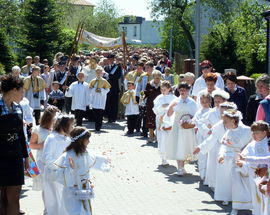 Observance of Corpus Christi in Poland takes the form of a religious procession by each church through the streets of their parish. 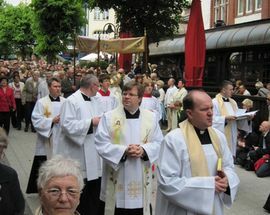 Following mass, the Blessed Sacrament (which is normally held in a tabernacle behind the altar) is taken from the church and prayers and speeches are made outside. The Blessed Sacrament, which for Catholics represents the body of Christ, is carried in an ornate, gold casing called a 'monstrance' held aloft by a priest for all to see, while other clergymen carry a canopy above it. 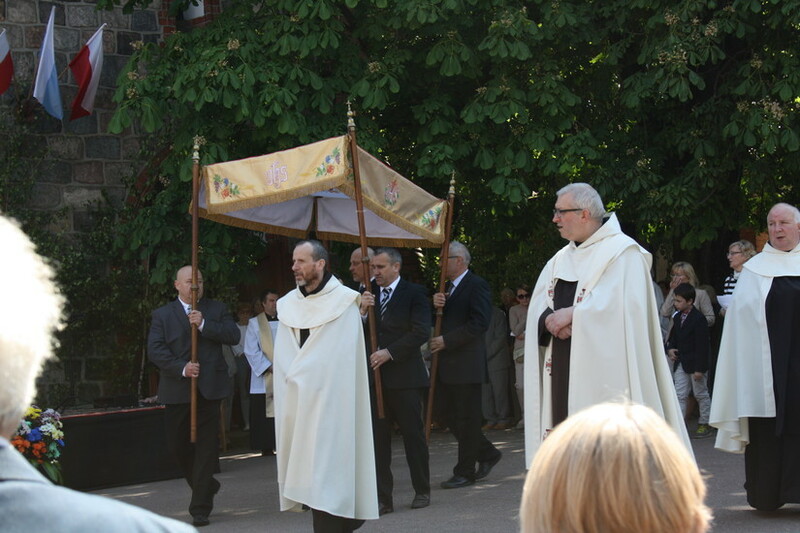 The procession also includes other priests and parishioners carrying banners made from fabric and embroidered with the names and images of saints or religious orders. 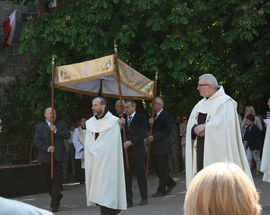 The procession then follows a pre-determined route, stopping at permanent or temporary shrines along the way, where prayers are led by the parish priest. On the day of Corpus Christi you’ll usually find crowds gathering outside their parish church in the morning. Procession times are staggered to allow each church to progress through the streets unhindered, and the police are often involved in the managing of traffic and crowds. 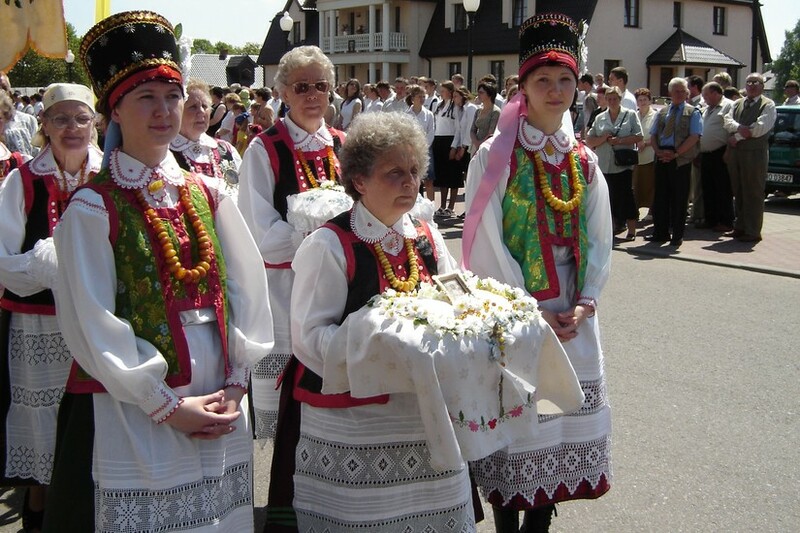 Despite the church’s increasingly reduced role in the life of many Poles, these processions are extremely well attended and make for an impressive sight, enlivened by the vivid colours of religious garments and regional costumes. 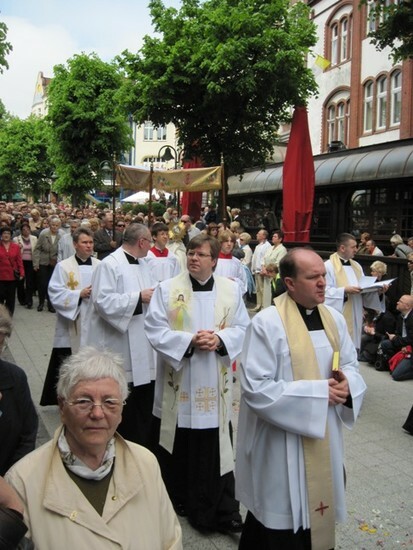 For those unaccustomed to the sight of massive public displays of religious devotion, Poland's Corpus Christi processions are certainly something to behold.